Adorable Wedding Concepts have a number of wedding hire options. View our wedding ceremony packages page to discover more. 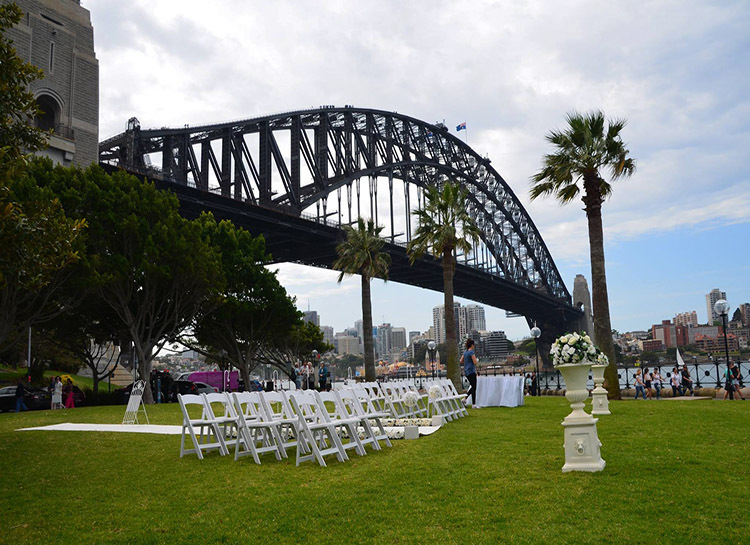 Hickson Road Reserve is spectacular water view outdoor wedding ceremony location with unparalleled views of the Sydney Opera House and Harbour Bridge right in front of the ceremony location. 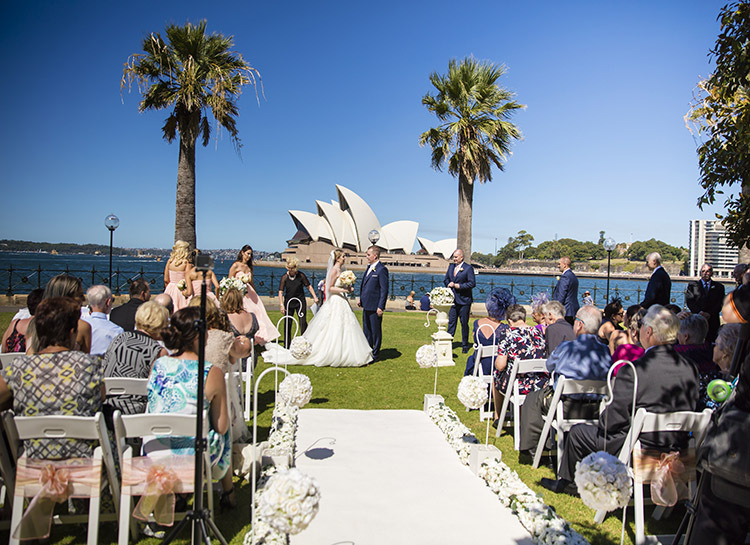 We setup the wedding ceremony aisle running directly towards the Sydney Opera House so the bridal party walk towards the harbour. This will create an amazing backdrop for your guests and photographer while the wedding ceremony is performed. 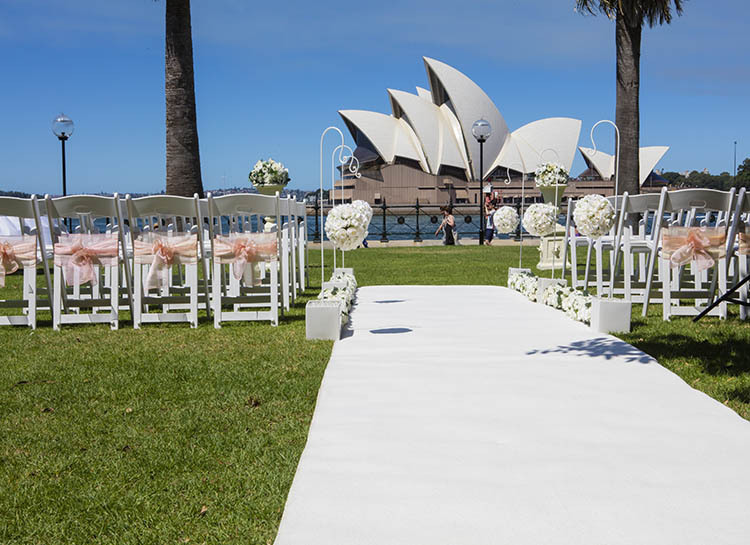 Our 9m x 1.5m wedding aisle runner is the perfect fit to this location. Our Elegance wedding ceremony package aisle decorations included in the wedding hire perfectly compliment this stunning location. Choose any of our shepherd hook arrangements to style your wedding package and you will not be disappointed with the setup. This garden wedding location is easily one of the most popular choices for couples and when you look at the pictures on a beautiful cloud less day it’s easy to see why. With such a stunning backdrop the park is always full of wedding parties taking photos so make you’re booking early. What you need to know: This is a very busy and sort after location so you must book ahead.